“Chevron,” of course, refers to Chevron U.S.A. v. Natural Resources Defense Council, the 1984 case that held that federal courts should defer to an agency’s reasonable interpretation of an ambiguous statute that it administers. It’s a decision that has emerged as a lightning rod for criticism in recent years — including from the justices themselves. 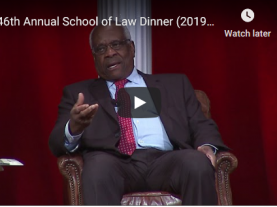 Justice Clarence Thomas has written that “Chevron deference raises serious separation-of-powers questions”; Justice Neil Gorsuch has suggested that the Chevron is “a judge-made doctrine for the abdication of judicial duty”; and Justice Brett Kavanaugh has expressed his own doubts about Chevron deference. There do not appear to be five votes to jettison Chevron just yet, but yesterday’s argument augurs a fate that is, in some ways, even worse: Sophisticated litigants may simply ignore Chevron even if the justices do not formally overrule the decision. If not for the writing on the wall with respect to Chevron, one might have thought that the deference doctrine would have been among BNSF Railway’s best arguments. The question in the case is whether a payment to a railroad employee for lost wages on account of a personal physical injury is subject to employment taxes under the Railroad Retirement Tax Act. BNSF says “yes”; respondent Michael Loos argues “no”; and the statute in its current form says nothing specifically with regard to lost wages. Meanwhile, a 1994 IRS regulation states that “pay for time lost” is taxable under the RRTA — an interpretation that clearly favors BNSF. As long as the statute is ambiguous and the IRS’s interpretation is reasonable, then the Chevron doctrine would seem to be outcome-determinative. But you wouldn’t know it from Blatt’s presentation until her very last breath. And Rachel Kovner, an assistant to the solicitor general, who appeared as a friend of the court in support of BNSF, likewise ignored the Chevron issue until a moment before she sat down. That lack of emphasis was no doubt strategic. Both Blatt and Kovner are seasoned Supreme Court practitioners who presumably concluded that Chevron arguments have become too toxic in the current jurisprudential climate. So although Chevron was scarcely spoken of during yesterday’s argument, that in itself speaks volumes about the future of agency deference. As for the case at hand, the justices’ questions gave us a glimpse of the issues most likely to factor into their final decision. Gorsuch expressed interest in the straightforward textual argument adopted below by the U.S. Court of Appeals for the 8th Circuit: The RRTA imposes taxes on “compensation”; the statute defines “compensation” as “money remuneration paid to an individual for services rendered as an employee”; and — in Gorsuch’s words — “I think of a judgment of the court for negligence … awarded involuntarily against the employer’s consent is something very different.” Justice Elena Kagan picked up the textualist thread later on. “[O]ne of the things that strikes me as a little bit odd about an award like this fitting into the ‘services rendered’ language is that, unlike most kinds of compensation that you can think of, you could get this if you were injured your first hour on the job without having worked at all, without having rendered any services,” Kagan observed. Both Blatt and Kovner sought to reconcile their clients’ shared interpretation with the statutory text, but the fact that the justices repeatedly returned to this point suggests that they might not have been totally convinced. Justice Sonia Sotomayor, meanwhile, appeared to be concerned about the practical implications of taxing lost-wage awards, particularly given that damages for pain and suffering and past medical expenses are by all accounts exempt. 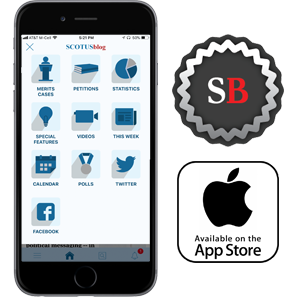 “[I]n most state law verdicts, there is just a payment,” Sotomayor noted. “It’s a general verdict. How are you going to figure out which part of the award is subject to the [exemption]?” Blatt said that the court should apply “a presumption that a personal injury award, the entire amount, is treated for lost time” and thus subject to the RRTA unless the parties agree to a different allocation. That is evidently the rule for computing pension benefits under the companion Railroad Retirement Act, though as David Frederick, counsel for Loos, would go on to emphasize, tax statutes and benefit statutes are not always interpreted the same way. The justices who appeared to be most resistant to Frederick’s argument were Kavanaugh and Justice Stephen Breyer. Kavanaugh pointed to a 1946 case, Social Security Board v. Nierotko, that held that back pay awarded by the National Labor Relations Board to an employee who was wrongfully discharged for union activity qualified as “remuneration … for services performed by an employee” under the Social Security Act. Frederick argued that Nierotko is not controlling: The decision in Nierotko addressed the computation of social security benefits rather than the computation of tax liability, and the Supreme Court has subsequently said that the same language need not be construed symmetrically for benefits purposes and for tax purposes. Breyer, for his part, did not seem entirely convinced: “We’re not saying it’s necessary, but it’s a plus to treat the taxing statutes symmetrical with” the benefits statutes, Breyer responded. Frederick acknowledged that lost-wages awards conceivably could make railroad employees eligible for more in retirement benefits, though he added that “as a practical thing,” it’s rarely the case that the award would have any effect on a railroad employee’s pension. Frederick also noted two points that, while not directly relevant to the merits of the case, may affect the justices’ evaluation of the equities. The first is that the district court explicitly instructed the jury — at BNSF’s request — that Loos’ award would not be subject to income tax. Although RRTA employment taxes are not technically “income” taxes, some members of the court might chafe at the idea that BNSF — after requesting and receiving that instruction — then turned around and argued that a portion of Loos’ award should be subject to a different type of federal tax. Second, as Frederick emphasized at the very end of his argument time, BNSF’s position in this case would mean that both it and its employees pay more in RRTA taxes. BNSF says that it’s worried about the solvency of the Railroad Retirement System, notwithstanding the Railroad Retirement Board’s statement that the system is financially secure for the next 29 years, but Frederick suggested a more sinister motive. According to Frederick, the railroad is seeking to gain “bargaining leverage” in settlement talks with injured employees because if employees agree to settle rather than take their cases to trial, the parties can allocate all of the settlement amount to pain and suffering rather than lost wages and thereby avoid RRTA taxes. Gorsuch and Justice Ruth Bader Ginsburg both picked up this point in their questioning of Blatt. By the end, at least four justices — Ginsburg, Sotomayor, Kagan and Gorsuch — had asked questions that seemed to advance Loos’ case, while two justices — Breyer and Kavanaugh — had asked questions more sympathetic to BNSF. Predicting the ultimate vote alignment after oral argument is perilous, but one thing seems reasonably clear: Whatever tips the scales, it won’t be the Chevron doctrine.